This book ended up being a very different read than what I was expecting it to be, but I don’t mean that in a bad way. It was deeper and more profound than your average psychological thriller and if pushed I would say it was more of romantic suspense with political tones than a straightforward psychological thriller. Georgie, Nikolai and Julian are the three main characters and all of them are well drawn and complex. They were very realistic and their fears and motivations were also easy to identify with. This is set in London in 2005 right before and during the 7/7 bombings and Ensor did a fantastic job of depicting the sense of fear and paranoia that I can only imagine was the general feeling during that time. There are some heavy themes explored here, but not the same type of themes that you usually find in a psychological thriller. Generally they are dark maybe even graphic in terms of violence but this time the themes are dark in a different way. Ensor explorers racism, terrorism, immigration and obsession all in a smart and profound way. 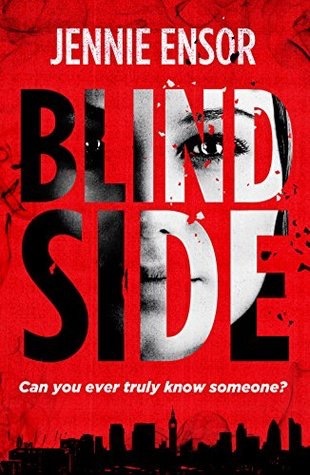 There is the same sense of uneasiness and not knowing exactly who to trust, but Blind Side is a wholly unique read, one I think that leaves an impact on the reader in the end. I just started this yesterday and so far I really like it…you know me, I’m super hesitant about psych thrillers but I think her writing is good! I’m thinking that to since it’s not the same as the ones coming out this past year.